The Insular Life Building in Makati stands proud 54 years after its inauguration in 1963. It just reopened after its blessing and unveiling on August 9, 2017, following an extensive renovation which modernized its facilities and equipment. The inLife Learning Center will be a business, training, recruitment and membership hub for policyholders and financial advisers. 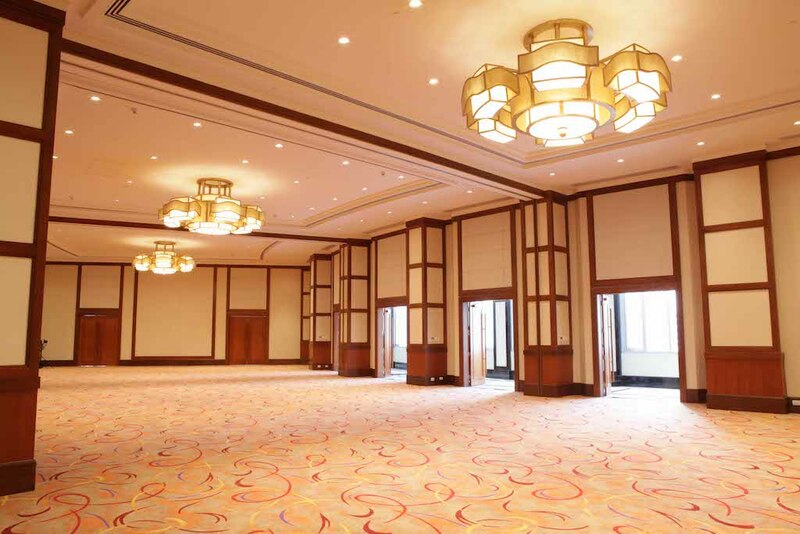 The 12th floor Ballroom can accommodate 300 persons, and may be divided into three smaller function rooms. Insular Life unveiled the newly-renovated Makati Building on August 9, 2017. The unveiling ceremony was attended by Guest of Honor Insurance Commissioner Dennis B. Funa, Insular Life Board of Trustees led by Chairman of the Board Luis C. la Ó, Chief Executive Officer Nina D. Aguas, President and COO Mona Lisa B. de la Cruz, executives, members of the agency force, valued policyholders and members of the media. Manila Archbishop Luis Antonio G. Cardinal Tagle presided over the blessing rites, assisted by Fr. Larry Tan, SDB and Fr. Cris Robert Cellan, SSP. After the blessing, a short program ensued, featuring the University of the Philippines Singing Ambassadors, one of the country’s foremost choral groups. The event was capped by a light and sounds show projected onto the building’s façade. 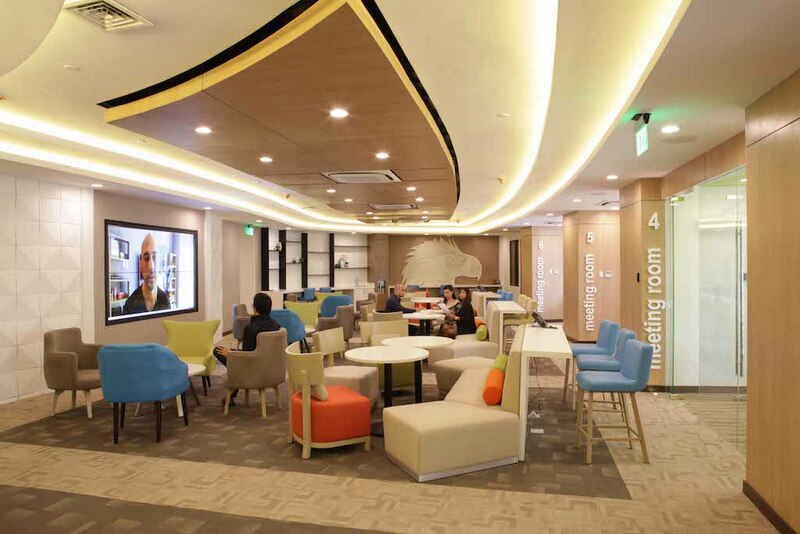 The event was also a fitting venue to showcase how Insular Life is being reimagined through its new interior design, modern facilities and convenient services. Its mezzanine floor hosts the inLife Learning Center, which offers a state-of-the-art business, training, recruitment, and membership center for its policyholders and agency force. Part of the Center will be used for servicing existing policyholders’ concerns. Whether through face-to-face interaction with Insular Life’s service providers, or its automated policy servicing feature, I-Serve, policyholders who wish to avail themselves of services such as policy loans, dividend withdrawals, Variable Universal Life transactions, and premium payments will be able to do all these conveniently at the inLife Learning Center. The Center also has cozy meeting places and rooms for training the Company’s agency force, as well as holding career opportunity talks and sessions for potential agency recruits. The equipment to be used in the Center will also be wifi- and internet-enabled, to facilitate faster communication and delivery of services. As before, the Insular Life Building in Makati will have its 12th Floor Ballroom which will be available for lease to the public. It features a 300-seater hall which may be equally divided into 3 sound-proofed function rooms for smaller events. 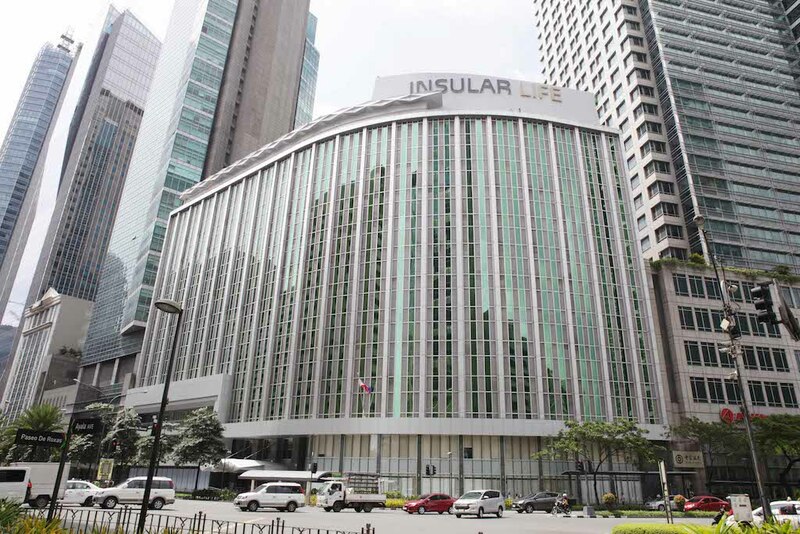 The Insular Life Building showcases modernized facilities and equipment, an updated look for the façade, and a five-level parking building adjacent to it. 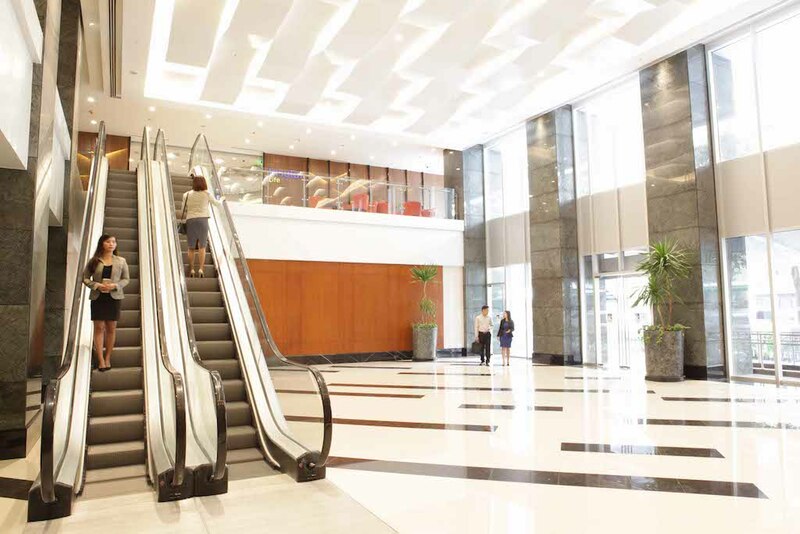 The building also boasts of its Silver LEED (Leadership in Energy and Environmental Design) certification which means its construction methods and materials, coupled with energy-efficient building equipment make it a sustainable building. It uses less water and energy, and reduces greenhouse gas emissions. The companies that have already signed lease agreements with Insular Life include Tim Hortons, BPI, Union Bank, and Magenic Manila. Insular Life is the first and largest Filipino life insurance company. It recently won three major awards in two major award-giving bodies: the Insurance Asia Awards 2017 with the Domestic Life Insurer Award and the Digital Insurance Initiative Award for its Automated Underwriting System, and the Reader’s Digest Asia Gold Award for the Life Insurance Category. It continues to grow as it posted a consolidated net income of P4.9B, net worth of P43.9B, and assets of P129B in 2016, earning for the company 172%, 70%, and 22% increase from the previous year, respectively.